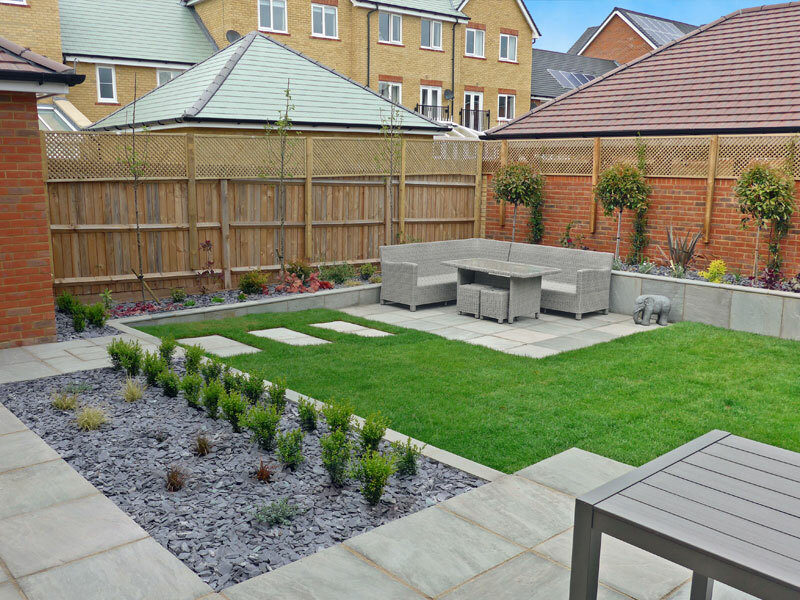 We’ve just finished this compact garden for a newly built house. 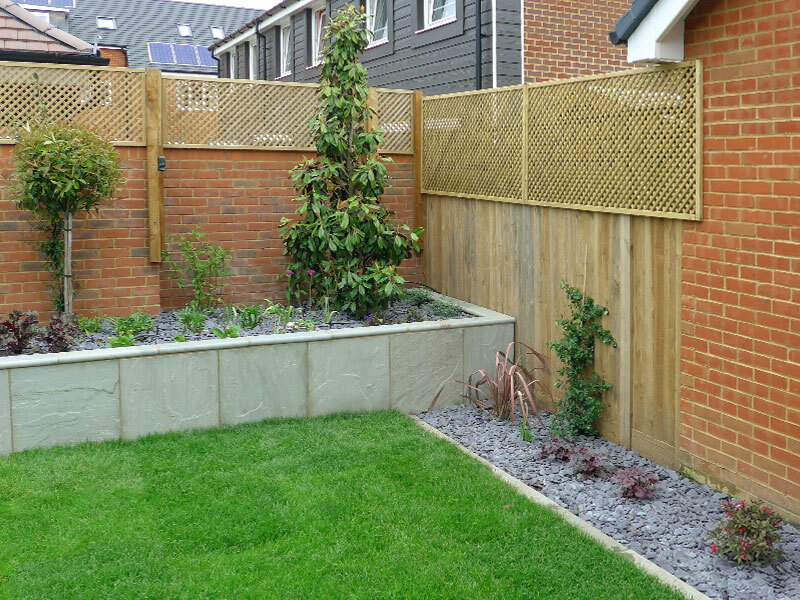 It has been designed to offer practical good looks whilst requiring minimal maintenance. It features a raised dining area close to the kitchen and a lower lounge area in the sunny south facing corner. The raised planting beds are topped with slate to reduce weeding and conserve moisture. 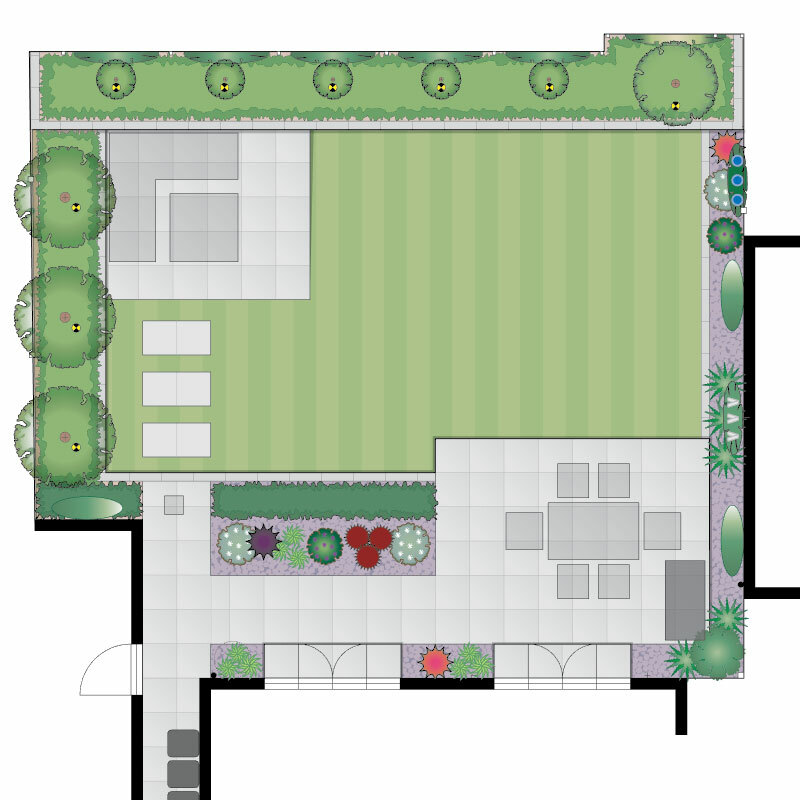 The planting includes five large Photinia Red Robin ‘lollipops’ with a specimen Magnolia Grandiflora along the back wall and three Pyrus calleryana Chanticleer trees for screening at the side. The planting has only just gone in at the time of taking these photographs, so it needs a little time to fill out. 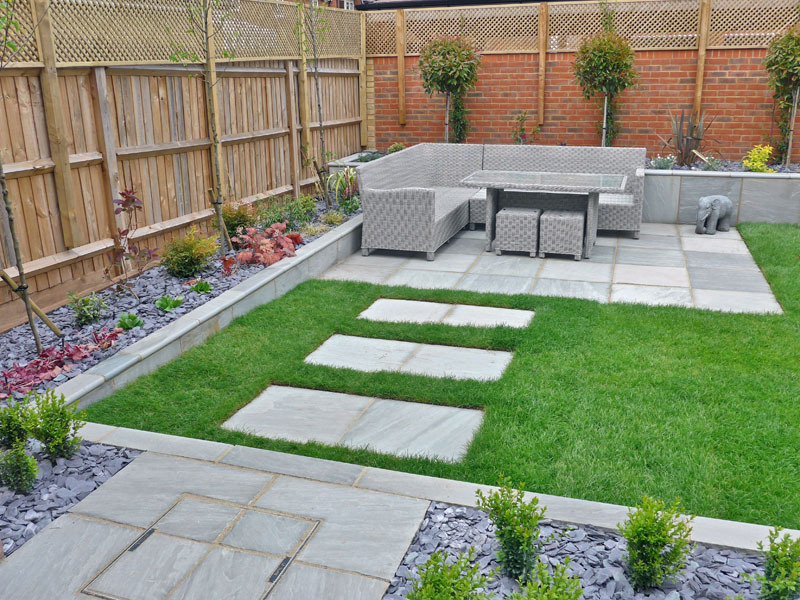 Grey tones allow the foliage colour to shine forth. ← What Is A Planting Plan?